Meet William! William was one of many friendlies trying to survive on a street with too many unwanted cats and too little food. He was a little rough around the edges but once in his foster home he lightened up. He is full of energy and loves other cats! He would do best in a home with a feline friend or adopted with a buddy. This guy loves life and wants a home to call his own.Can you give him that home? 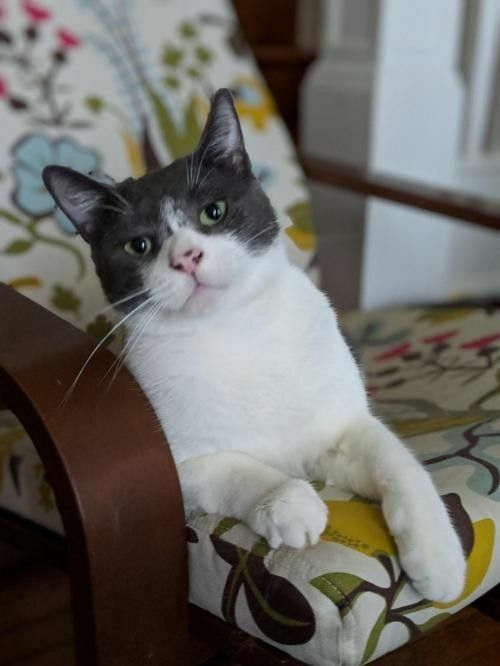 If you want to meet this sweet cat, please submit an application on our website: application. All our cats are up-to-date on vaccines and ready to go home. And if you can't adopt but would like to help, fostering is always an option! Either fostering one (or more) of our other irresistibly cute feline companions. You can also schedule a play date and meet some of our affectionate rescues by visiting Le Cat Cafe. Schedule a visit today!